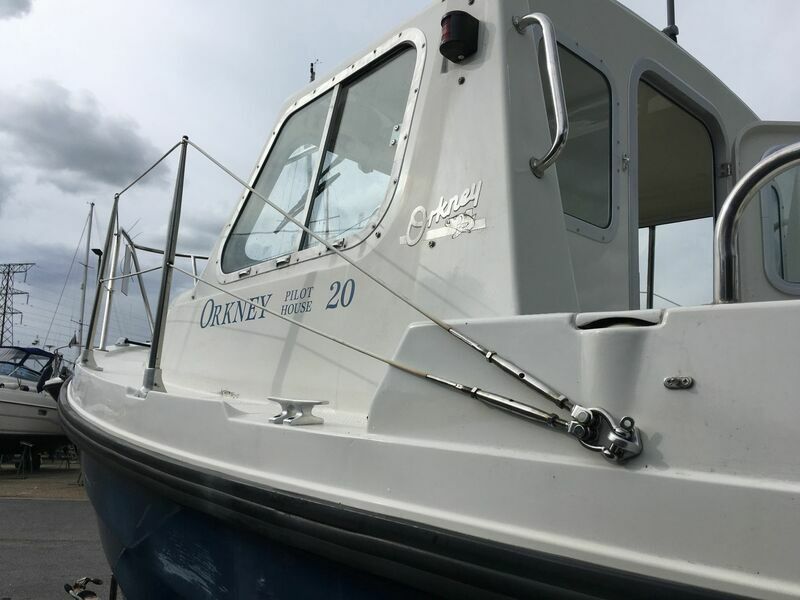 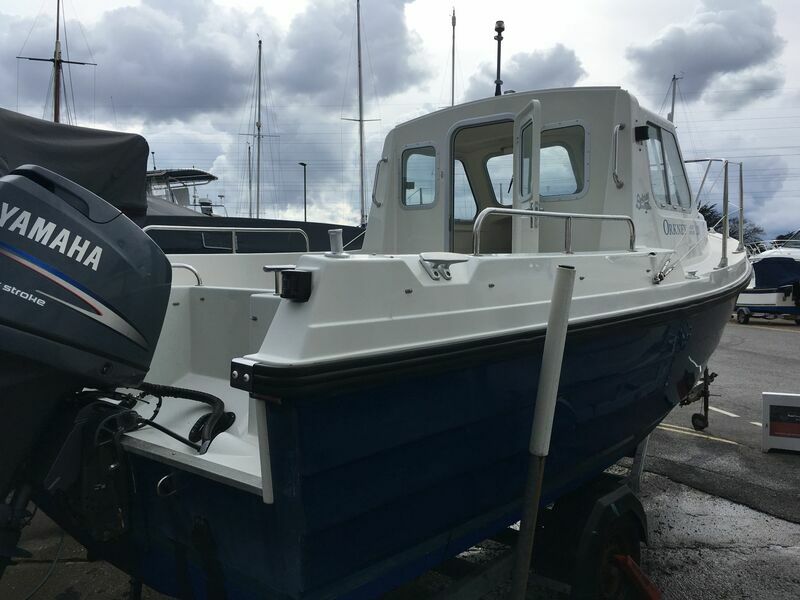 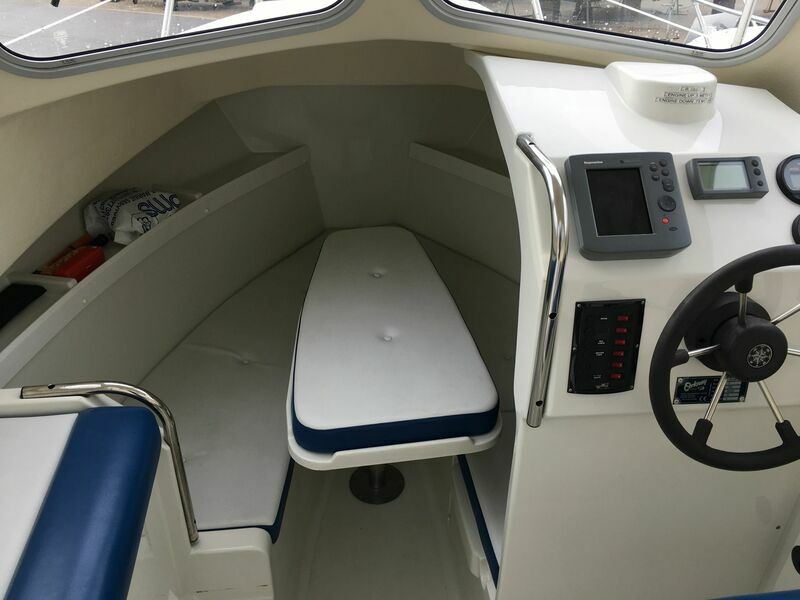 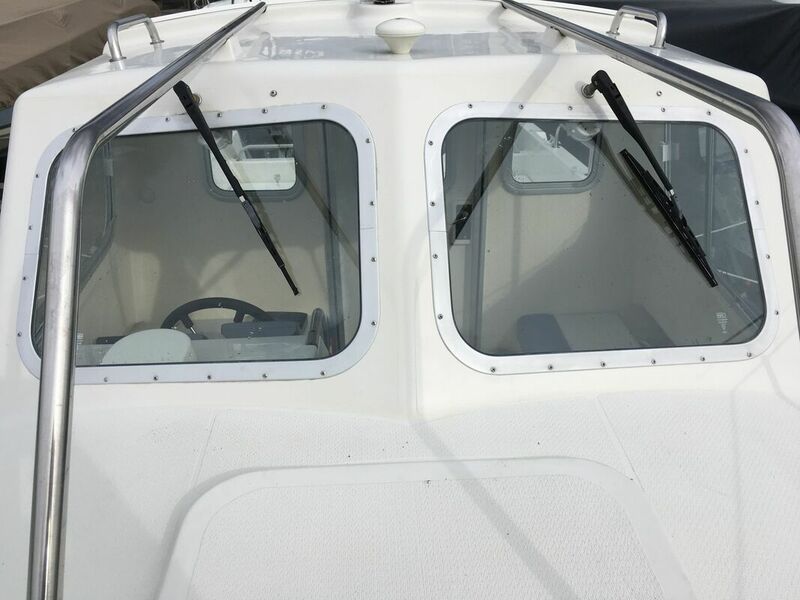 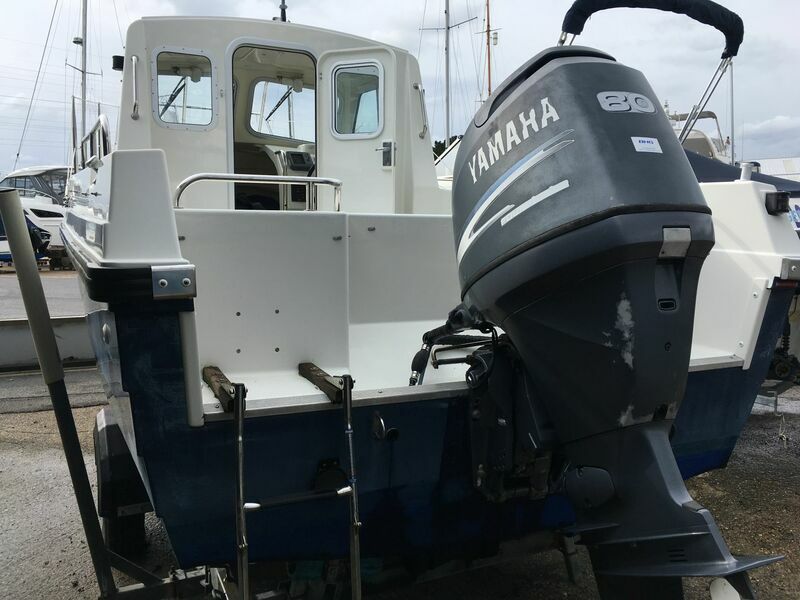 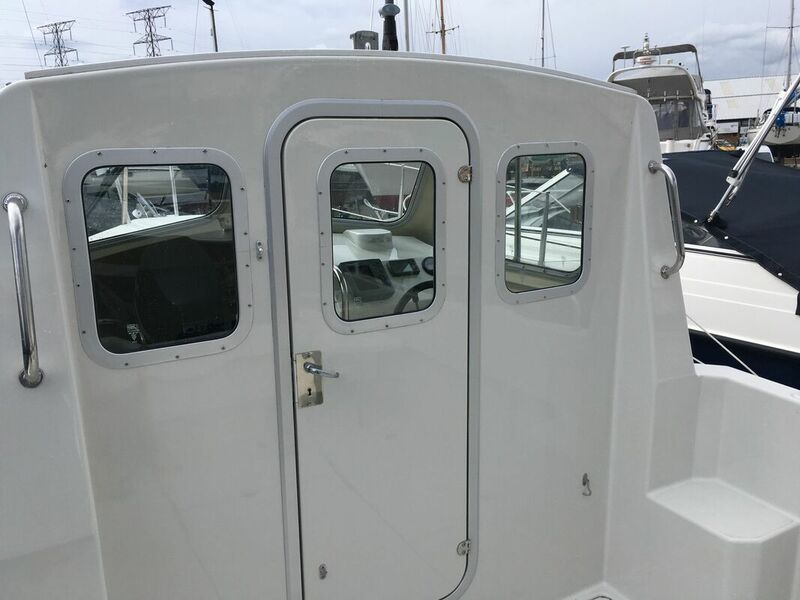 ​2005 Orkney Pilot House 20 fitted with a 80hp Yamaha four stroke outboard (low engine hours). 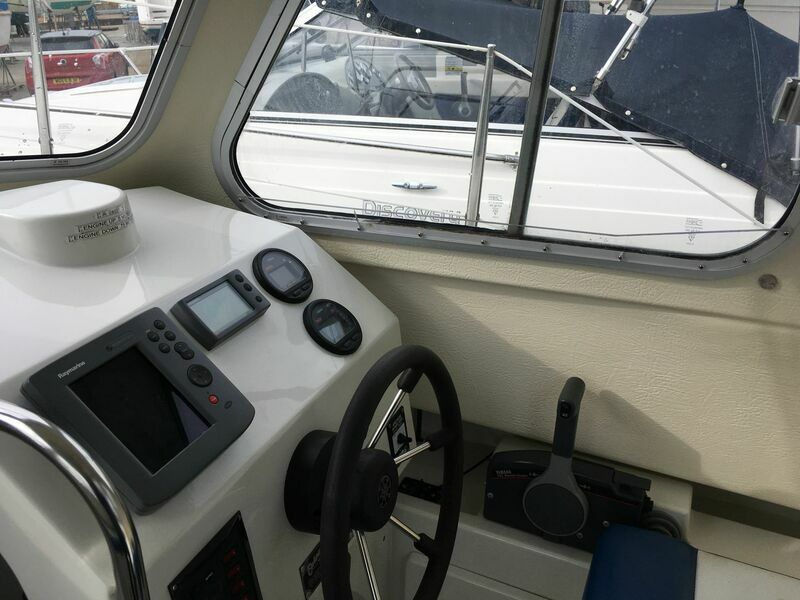 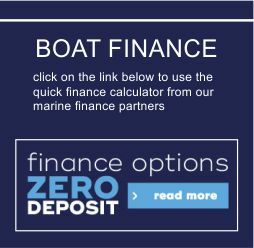 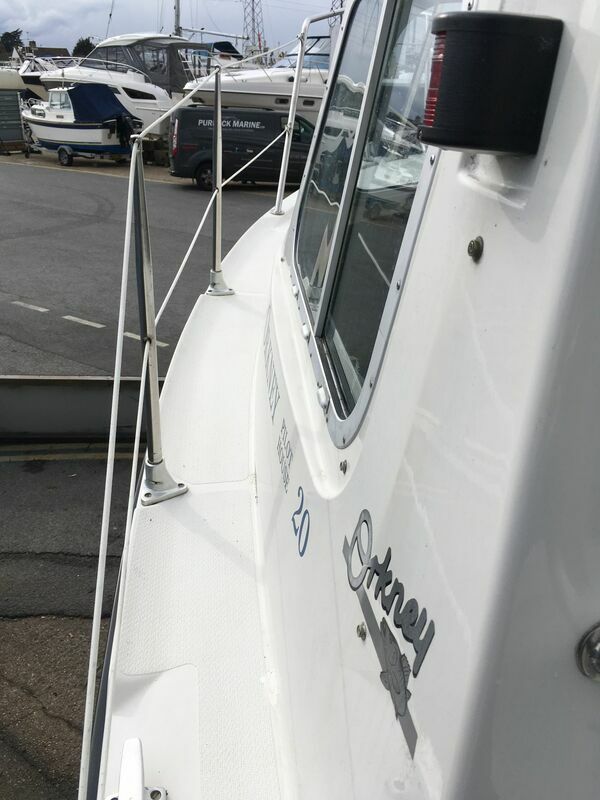 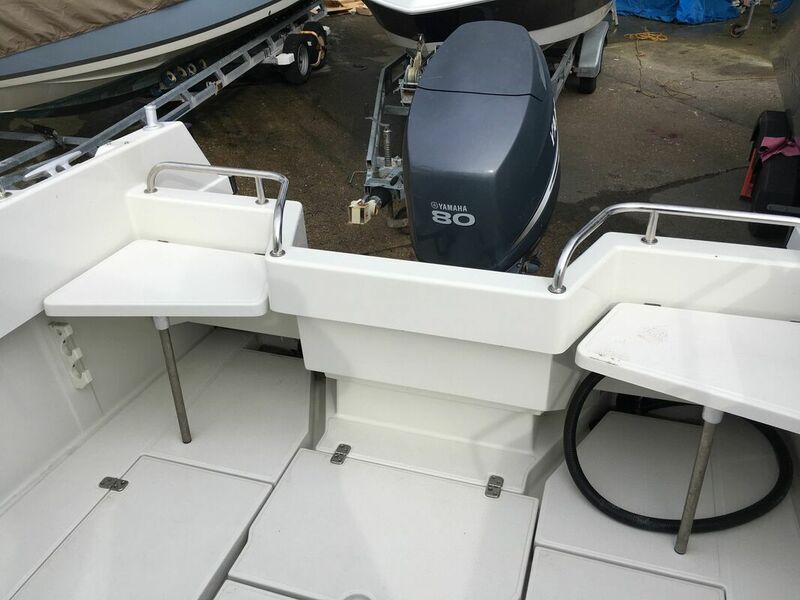 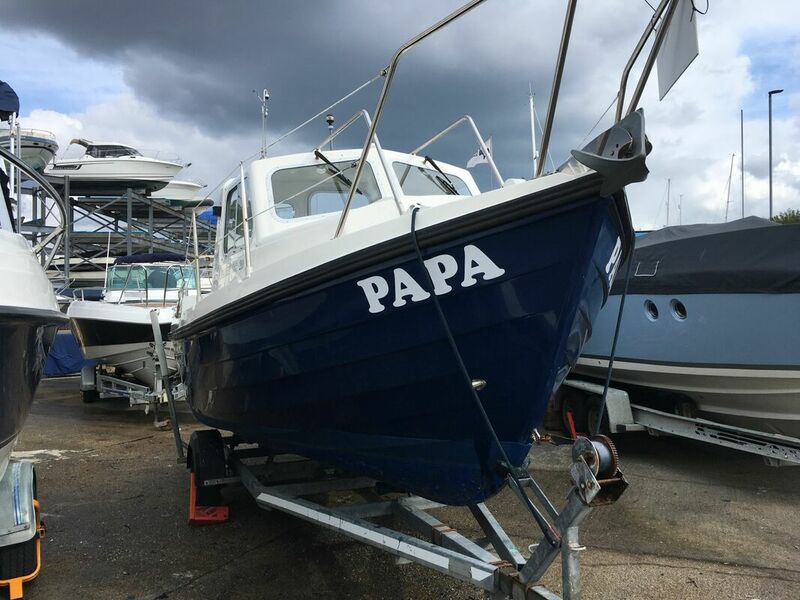 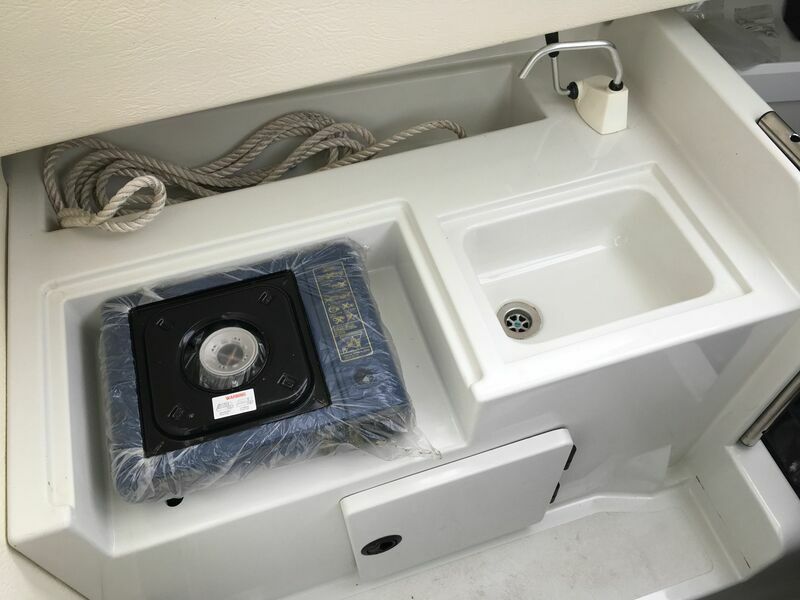 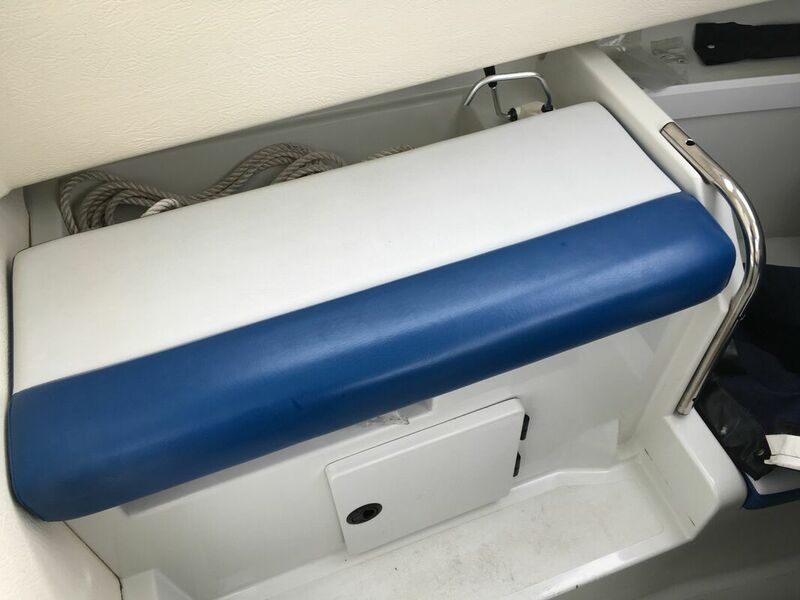 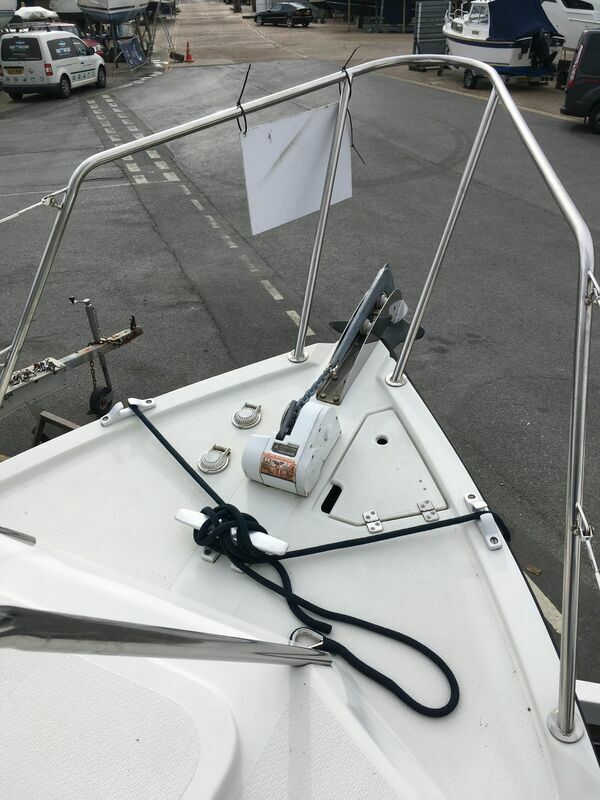 Includes Raymarine chart plotter sounder and speedometer, full engine management system, two windscreen wipers, electric anchor windlass, fresh water sink, full V berth cuddy cabin with table, sleeps two, sliding port and starboard cockpit windows, side guard rails, bathing ladder, pulpit rail, cockpit side rails, cockpit folding seats, navigation lights, rod holders, tonneau cover and cabin window covers. We have a comprehensive set of service records and ownership documents. 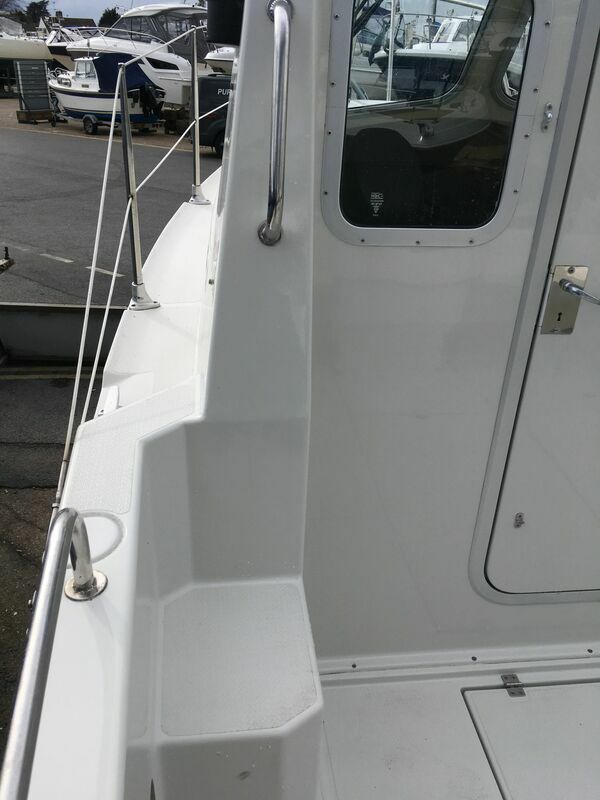 ​With a generous beam along the waterline spray chines it offers good stability without a significant increase in wetted surface. 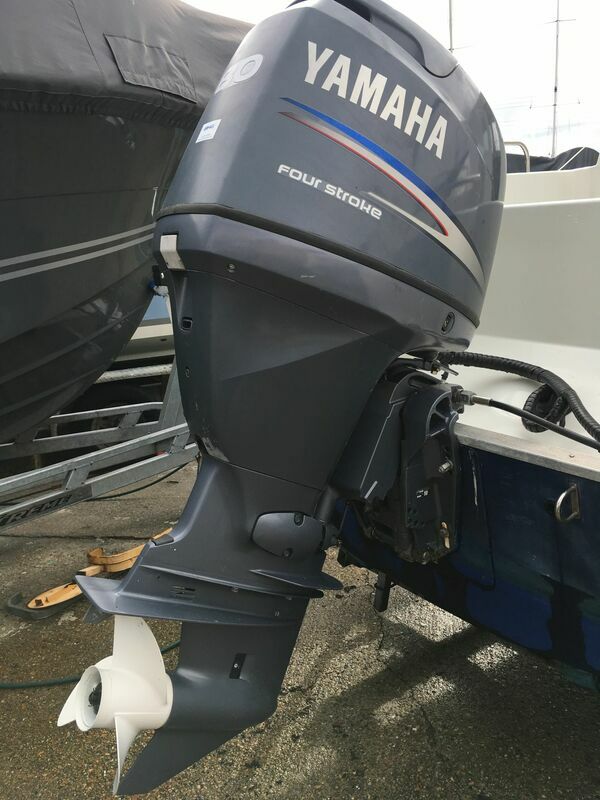 The hull features a reasonably deep forefoot with fine forward sections and pronounced flare developing into a moderate V aft. 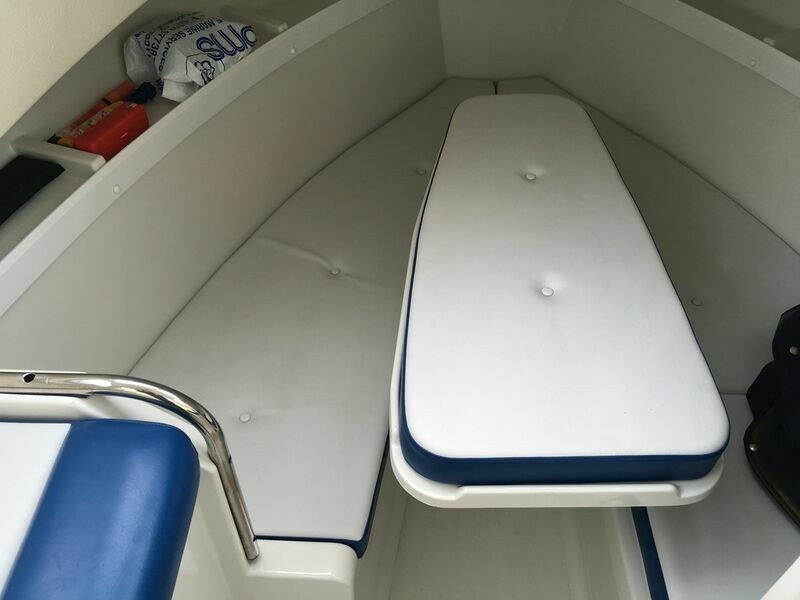 The resulting shape, combined with a moderate beam/length ratio, results in a dry, comfortable ride in rough seas. 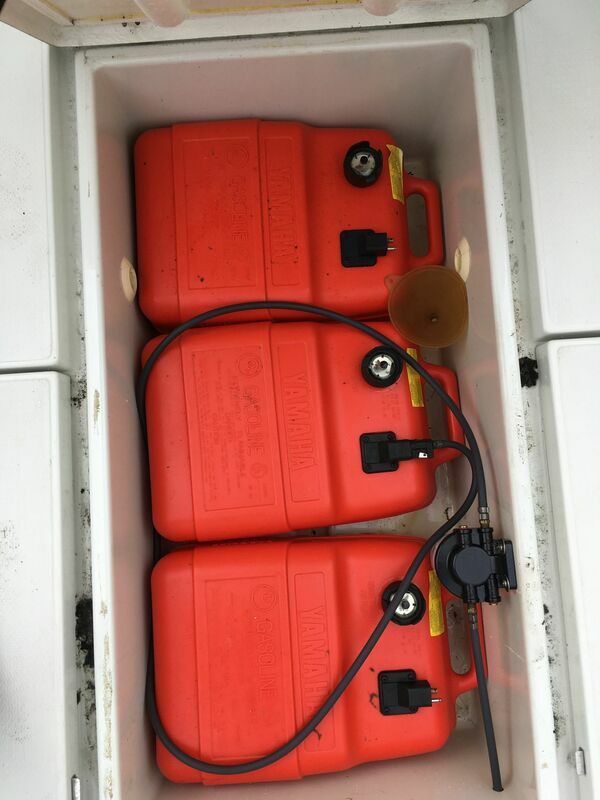 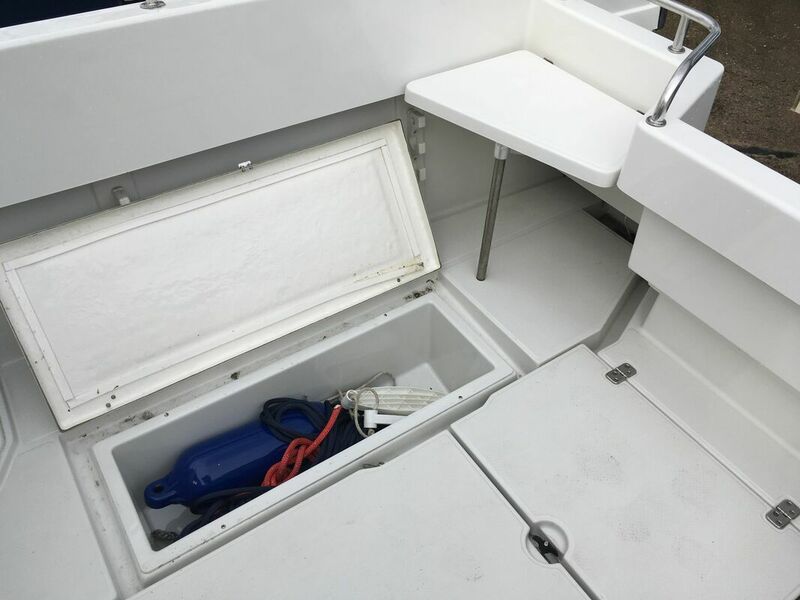 The fully moulded cockpit has safe high coamings and is self draining with useful stowage under hinged lids. 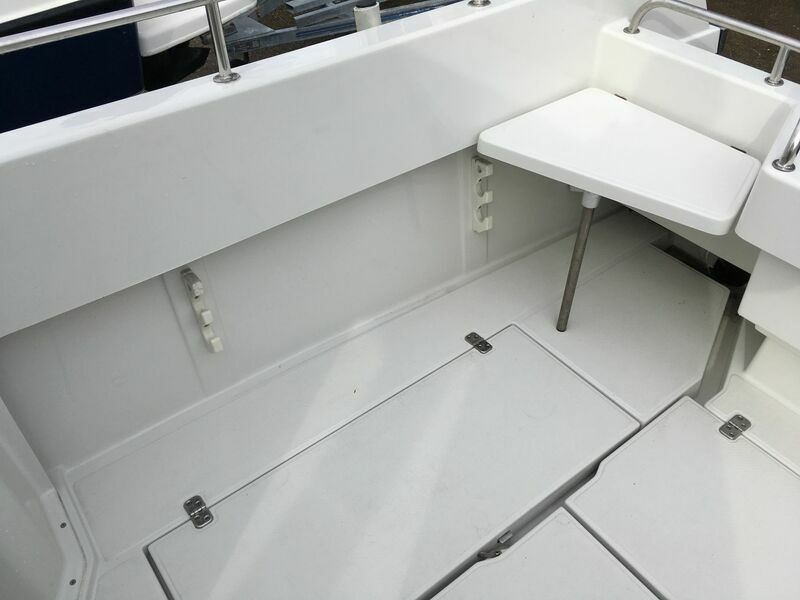 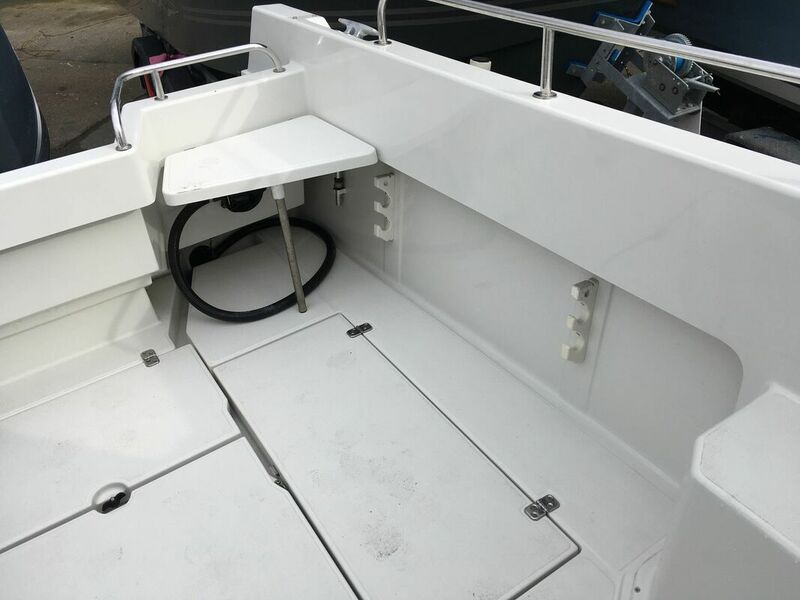 Wide side decks with practical 'angled-in' toe rails and pilot style coach roof handrails make going forward to the foredeck simple and secure. 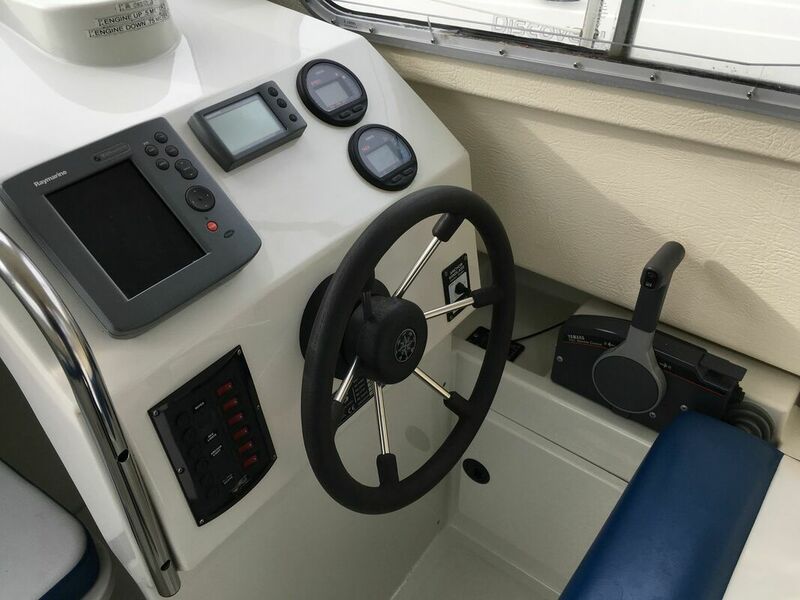 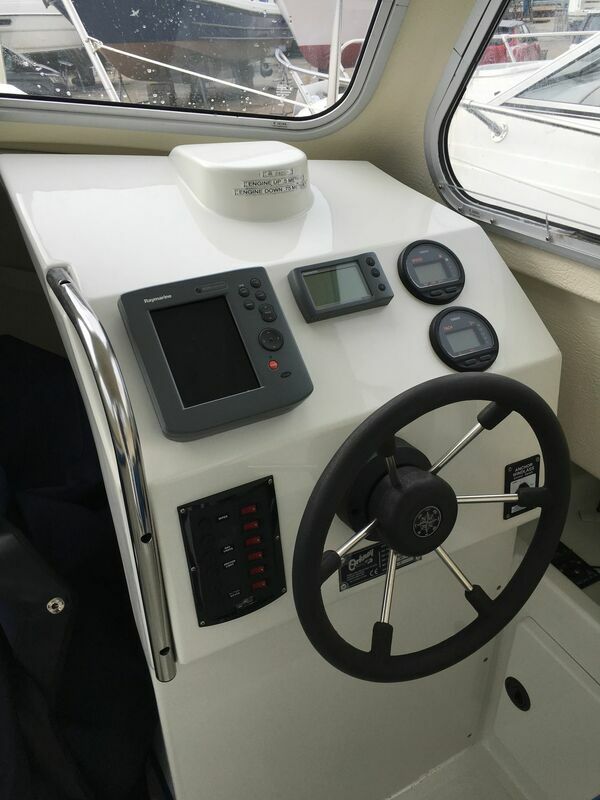 The wheelhouse offers commanding all round views from a forward facing Helm and Co Pilot seat.